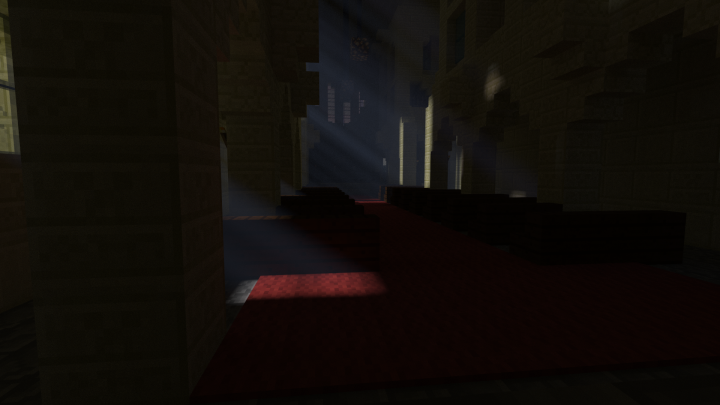 A render of the inside of Heinz Chapel. 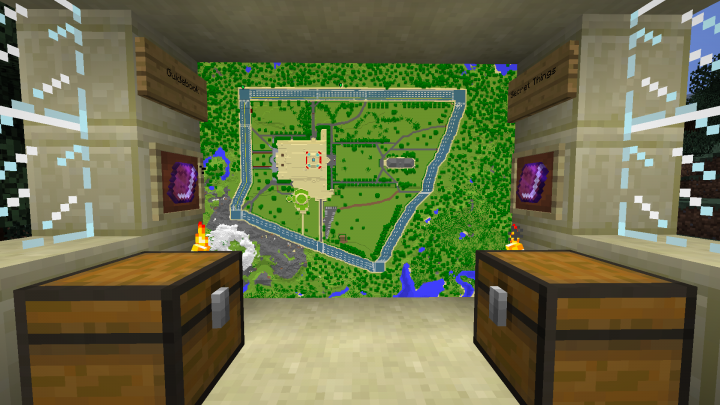 The spawn area, complete with a map of the region, a guidebook, and a list of hidden items. 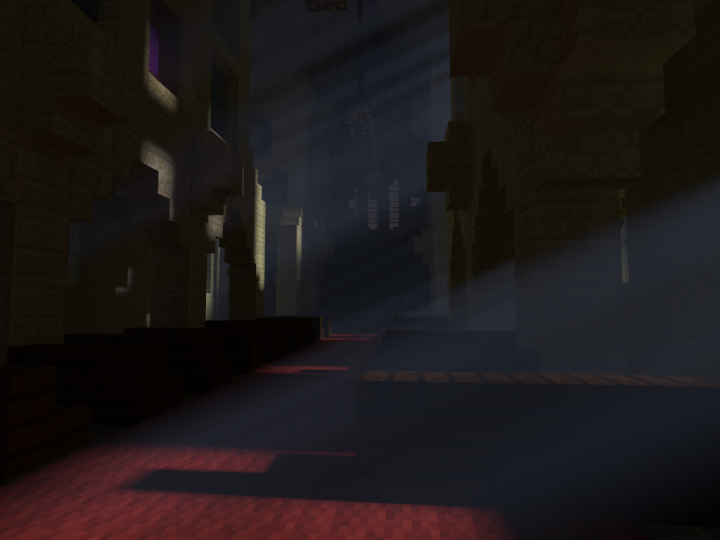 I know this is very similar to the last render. I just like it. 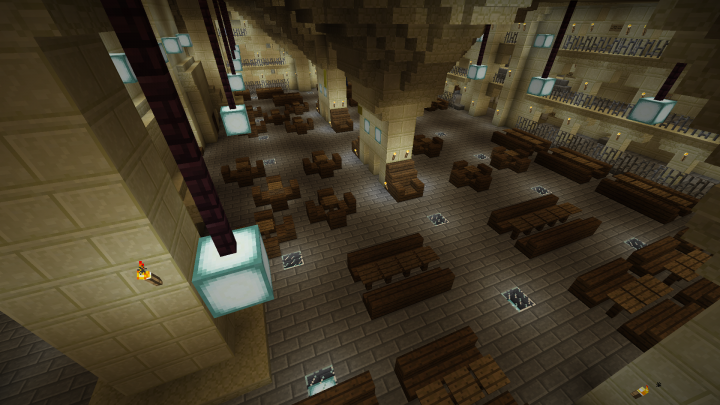 A render of The Commons Room. 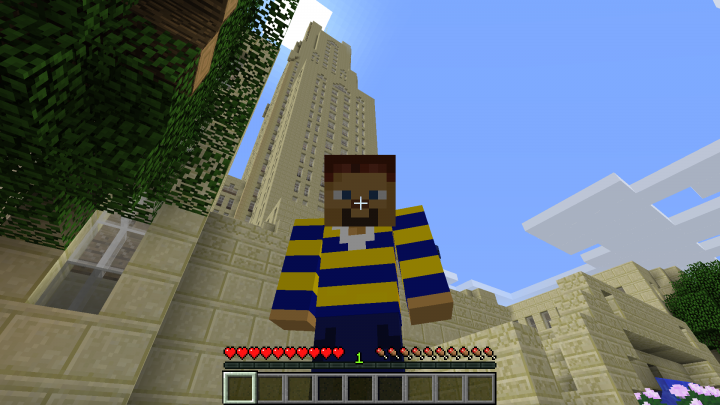 A custom Pitt Pathfinder skin. The Pathfinder skin in action. 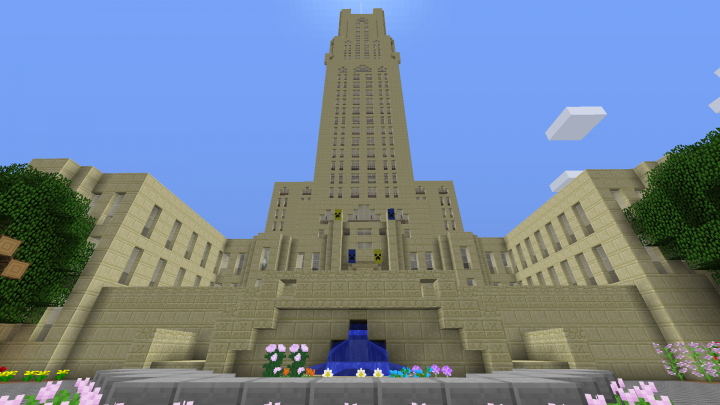 This is a near 1:1 (1 block=1 cubic m) scale replica of the Cathedral of Learning and surrounding lawn at the University of Pittsburgh. 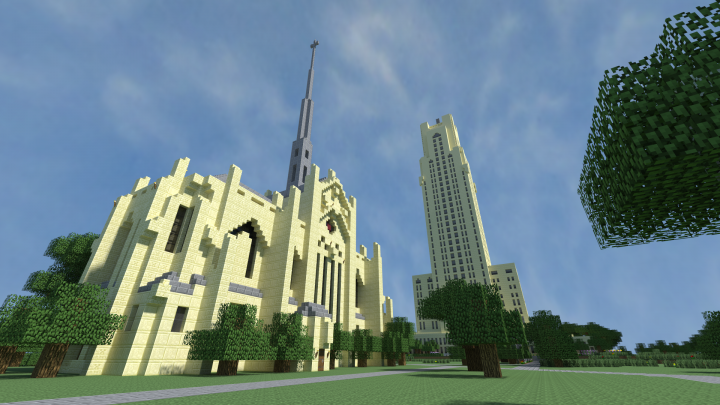 The lawn includes Heinz chapel, the Stephen Foster Memorial, and the Log Cabin. 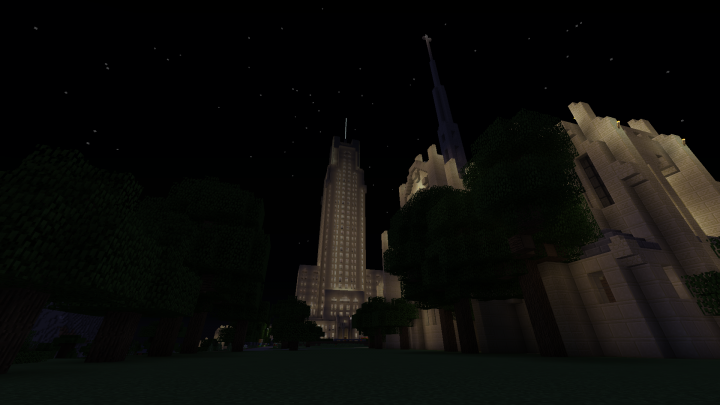 The Cathedral itself includes 36 floors and working elevators. 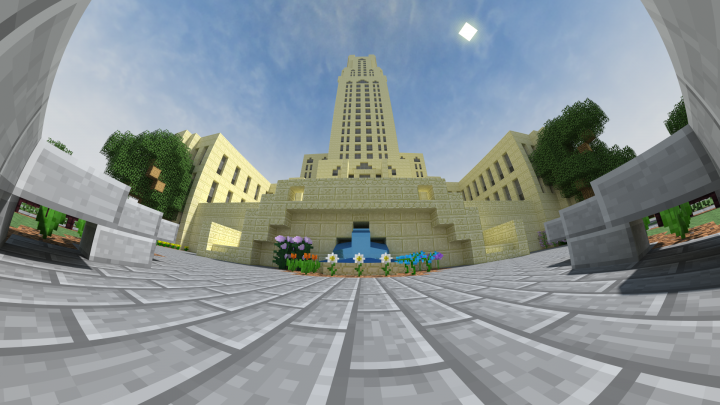 All floors are finished, but special attention to replicating the actual Cathedral was put into floors G-3 and the Honors College. I also added some hidden rooms, mazes, treasures, etc. to spice things up. They are hidden so as to not take away from the realism of the build, but also fun to explore if you get bored. I also threw in there a custom Pathfinder skin, if you're into that. 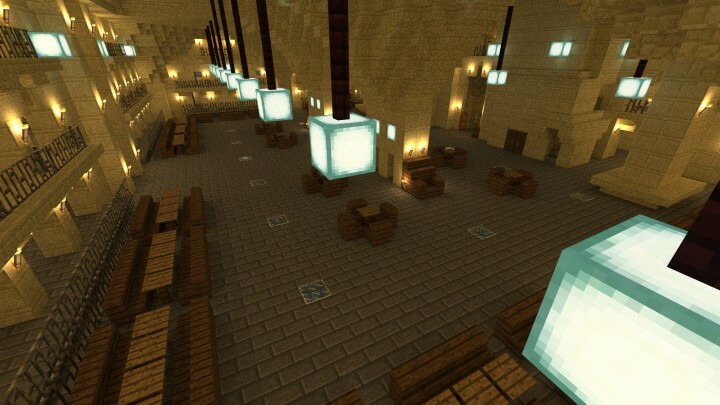 The entire map is vanilla survival with cheats enabled (so you can play in whatever gamemode you want), version 1.8. Hope you enjoy! Love your minimal style, and great presentation! Dusty why havn't you been posting? I haven't built since Summer, that's why. 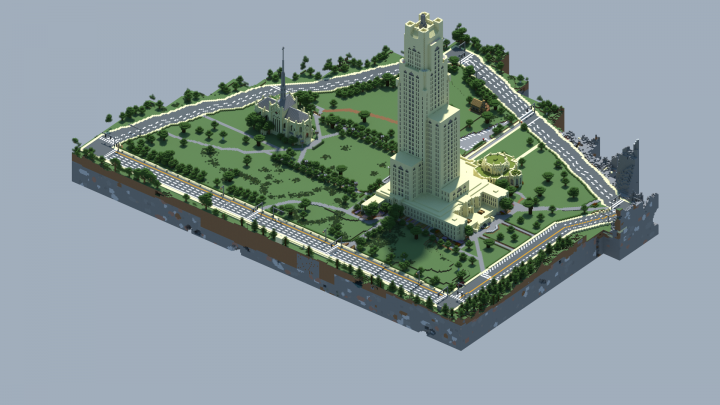 Looks pretty darn good with some nice renders.